Updated Thursday June 16, 2016 by Erich Weiler. Welcome to Live Oak Little League! 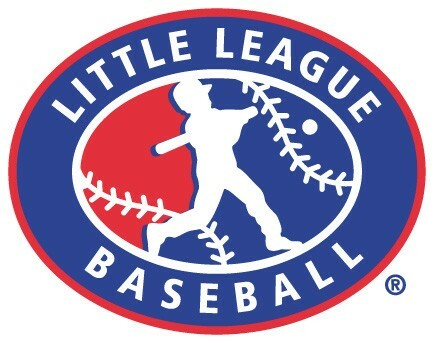 Little League Baseball is a nationwide recreational baseball organization for boys and girls age 4-12. All children are allowed to play, there are no "qualifying tryouts" in which some kids get in and some kids don't. All kids who want to play can play! Little League Baseball is organized by its governing body, Little League International. Then different parts of the country are divided up into Divisions, then Sections, then Districts, and finally local Little Leagues. Live Oak Little League (LOLL) is a local league in District 39, and District 39 is located in Section 5, and Section 5 is located in Division 2 in California. Which league your children can be a part of depends on the geographic location of your residence or the school your child attends. If your child attends a school in the Live Oak area, or if your residence is located in the Live Oak boundary, then your child can join Live Oak Little League! What Are Teams Made Of? Something that is important to understand about Little League is how the teams are made. Who are the people that are responsible for the team's makeup? The Manager: The manager, a.k.a. the "Head Coach", is the lead director of the team and guides the direction of coaching, is ultimately responsible for placing the kids on positions on the team, creates the lineup, subs players in and out during the games, guides the direction of practices and interacts with the parents of the players on the team as a first point of contact. If there are any questions about the team, the season or any other issues, please contact the team's Manager first. The Coaches: The team may have any number of coaches, which act under the direction of the Manager. The coaches help guide the kids on certain aspects of the game during practices and during games. They assist with base coaching, drills, or whatever else the Manager needs. Two coaches are allowed to assist the Manager in the dugout in the AAA and Majors Divisions. Any number of coaches may participate in the game for Tee Ball, Farm and AA. The Team Parent: The Team Parent for each team is a parent of one of the kids on the team who assists the Manager in communicating team events to the rest of the team, is responsible for organizing snacks (if applicable) after each game, organizing the team party at the end of the season, organizing trophies, and other tasks such as coordinating Snack Shack Duty and the like. Little League baseball is made up of five different Divisions: Tee Ball, Farm, AA, AAA and Majors. The description of each division is outlined in the "What are Divisions?" article located HERE. How is the League Managed? Another important part of the league is the Board of Directors, which effectively runs the league. The board is a 100% volunteer job, and all leagues are not-for-profit organizations. All fees paid to the league for registration, all fundraiser money, proceeds from the snack shack and all sponsor money goes directly back to the league to purchase required equipment, maintain the fields, pay the third party umpires (umpires are hired and are not part of the league) and organize all the games and events. The Board Members handle many tasks such as organizing the teams, organizing the snack shack, maintaining the fields, managing the umpires, ensuring player safety, coordinating with the parents of all the players, managing and organizing registration, and coordinating local league activities with District 39, just to name a few. The current list of Board Members and their roles can be found HERE. All adults who interact with the teams directly (Managers, Coaches, Team Parents, etc) are subject to a background check to ensure player safety.